What do you get when you combine chicken thighs, prepared mango peach salsa, lime juice, ground cumin and coconut? 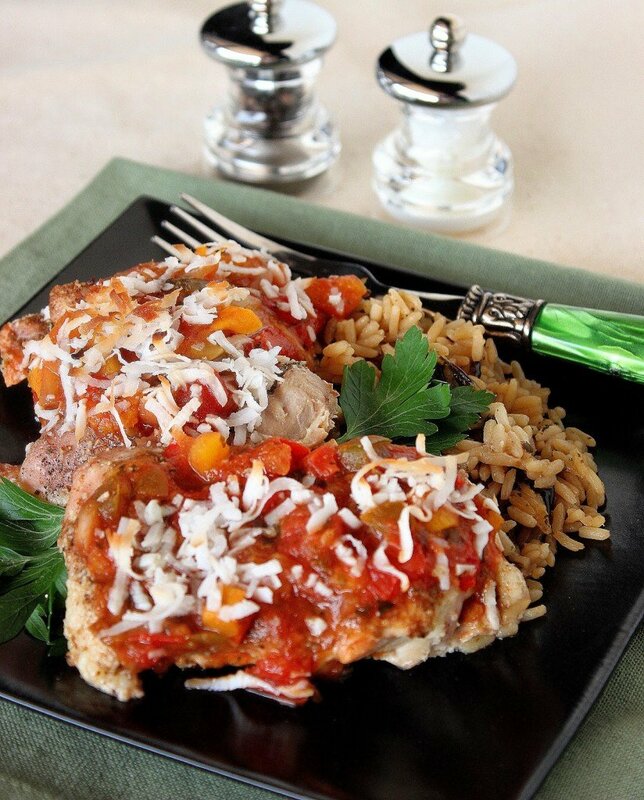 You get my delicious and easy five ingredient Tropical Salsa Chicken… That’s what! This week’s #SundaySupper is all about 5 ingredient or less recipes and truth told, sometimes I find that cooking with fewer ingredients is more difficult than cooking with an array of ingredients at your disposal. I also find that sometimes it takes a whole lot more creativity to come up with something tasty when you are working with fewer ingredients. That said this recipe for Tropical Salsa Chicken was one I developed on a whim after I happened upon a jar of prepared mango and peach salsa at the grocery store, and I began running recipe scenarios around in my head in the International aisle of the super market (other than the shower, the grocery store is the place where I do my best thinking. LOL). -Place the chicken in a baking dish that’s been sprayed with cooking spray. -Cut and squeeze the lime juice equally over each chicken thigh. *Note – to get more juice from the limes, press and roll the limes on the counter before cutting and juicing. Allow the chicken to sit for 10 minutes. -Season each chicken thigh with salt, pepper and the ground cumin. 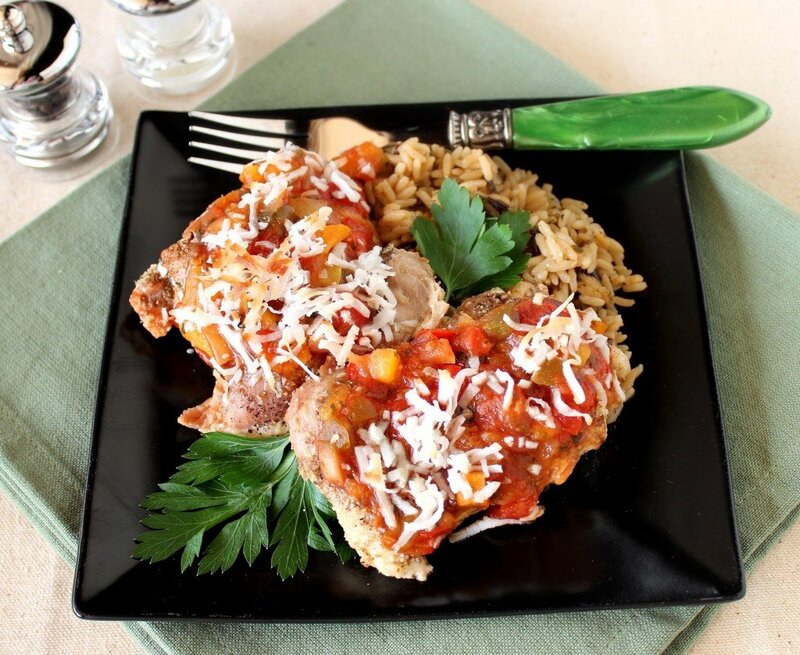 -Spoon the prepared salsa evenly over the chicken thighs. -Bake in a preheated oven for 30 minutes. -Remove the chicken from the oven and sprinkle the coconut over top of each thigh. -Return to the oven and continue baking for 5 minutes longer, or just until the coconut starts to brown. Want more 5 ingredient or less recipes? Of course you do. 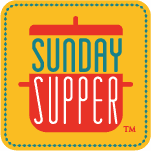 Just check out the #SundaySupper links below, and thanks to your host for this weeks theme, Alice of Hip Foodie Mom…you rocked it out of the park! Me too! I'm a shower thinker! Your recipe looks delish and packed with flavor!!! This sounds like an incredibly flavor-packed combo, Renee! I'd looove to try it for dinner soon. I know I would love this. The Mr.'s allergic to mango, but that just means more for me, right? Wow the flavours in this dish sound amazing. I make a homemade peach salsa for my business when peaches are in season and I think that would be amazing with this recipe so I can't wait to try this when they are out. Oooh, I love fruit salsas with meat and fish! Such a great idea for an easy, delicious dinner! I love the colors and flavors in this dish…can't ever have enough great chicken recipes! I love pairing a sweet salsa with chicken, so very good!! peach or mango salsa on chicken is so delicious and tropical too. Oh I love this twist on chicken thighs!! so festive and delicious! Can't wait to try! Ooh – adding the shredded coconut to this dish sounds like such a tasty choice!!! Perfect combination of ingredients! beautiful dish. Sounds like a tropical vacation for my belly 😉 ! I bet this tropical salsa would be good with fish too! Love the colors and flavors, sounds delicious! This looks very enticing not to mention delicious! What a great summer dish! Love the tropical feel to it. I'm pickup up some of that salsa at the store next time. Sounds like a tropical vacation on a plate! Love all the ingredients, great recipe!